‘Tis the season for holiday parties! Between the kids’ class parties, Command get togethers, and family gatherings, I have so many written down in my planner, it’s hard to keep track. I’m in full swing holiday mode and there’s no turning back. HA! 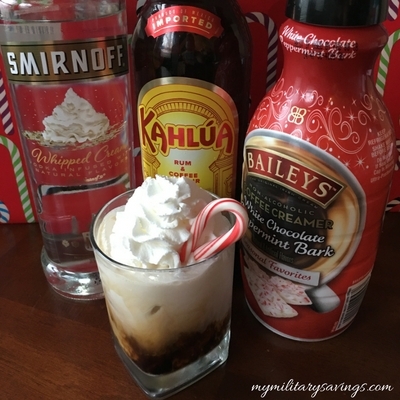 This week’s Happy Hour cocktail is SUPER festive and I love it! I made it over the weekend to enjoy while we decorated the tree and house. It’s delicious! 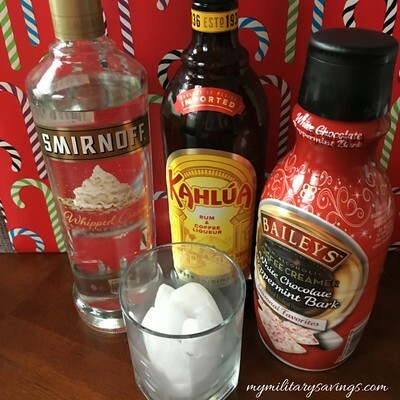 I started with this Bailey’s coffee creamer. I’m not usually a flavored coffee drinker, but hey, it’s the holidays and they are all over the place! 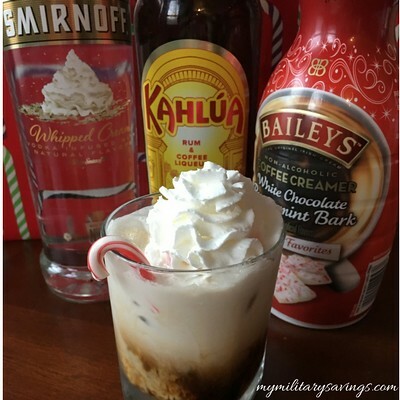 I made my coffee Saturday morning and my first thought was, “This would be DELICIOUS with Kahlua!” 😉 So, the Peppermint White Russian was born. I’m always thinking of you guys. You’re welcome! As always, we ask that you please enjoy responsibly! 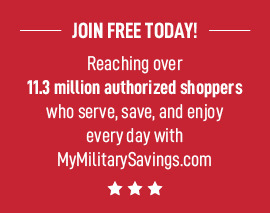 For more great recipes, check out mymilitarysavings.com. Membership is free so be sure to sign up today!